SODzyme with GliSODin is a 100% vegetarian product using only plant sources for Superoxide Dismutase (SOD) catalysts and vegetarian capsules. The SOD enzyme activity is certified based upon the NBT† assay. GliSODin is a patented, non-GMO, water dispersible form of SOD lyophilized extract from the edible plant Curcumis melo (Melon). 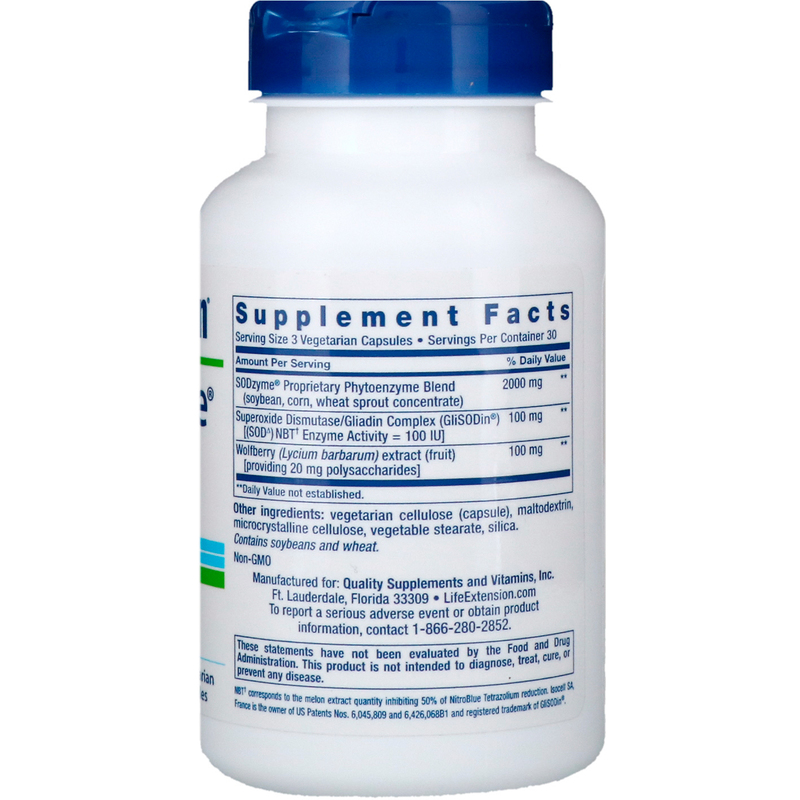 GliSODin has been combined with a wheat gliadin protein matrix that protects SOD from degradation in the digestive tract and promotes its absorption in the small intestines. 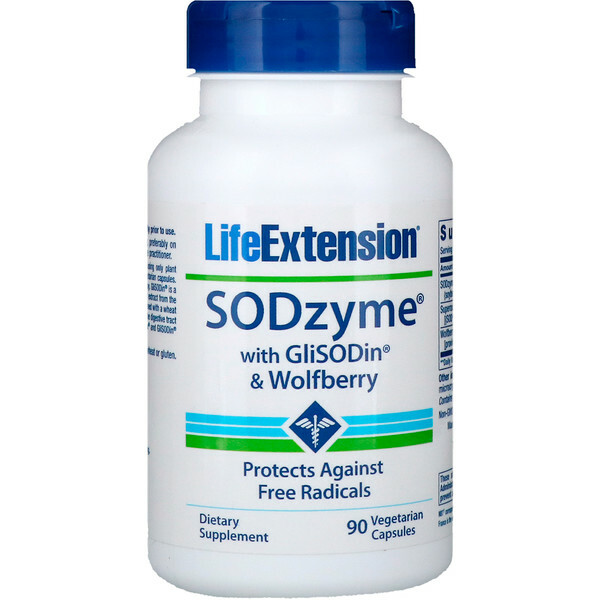 SODzyme and GliSODin stimulate the natural production of SOD by the body. Vegetable cellulose (capsule), maltodextrin, microcrystalline cellulose, vegetable stearate, silica. NBT† corresponds to the melon extract quantity inhibiting 50% of NitroBlue Tetrazolium reduction.